Leading Exporter of head bolts for electronics industry from Mumbai. We are offering a wide range of Head Bolts for Electronics Industry. We provide these bolts to our customers in excellent finishing, different sizes & dimensions and with close tolerances. 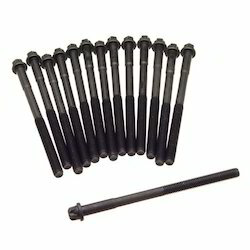 Looking for Head Bolts for Electronics Industry ?